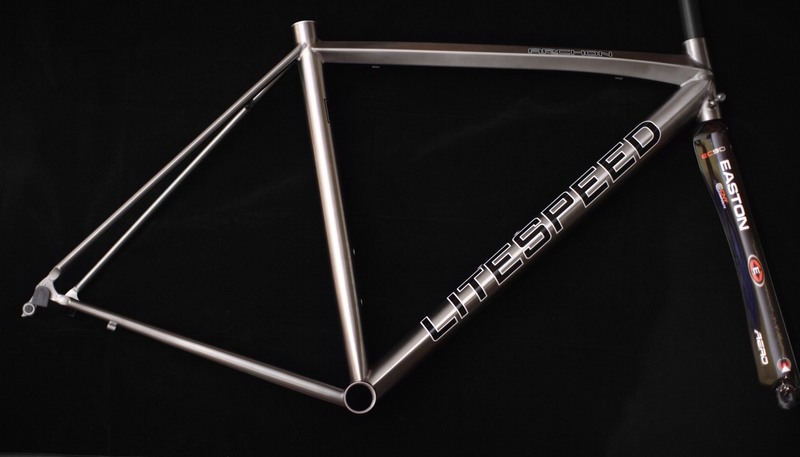 1016 Gram 54cm Litespeed Archon frame. 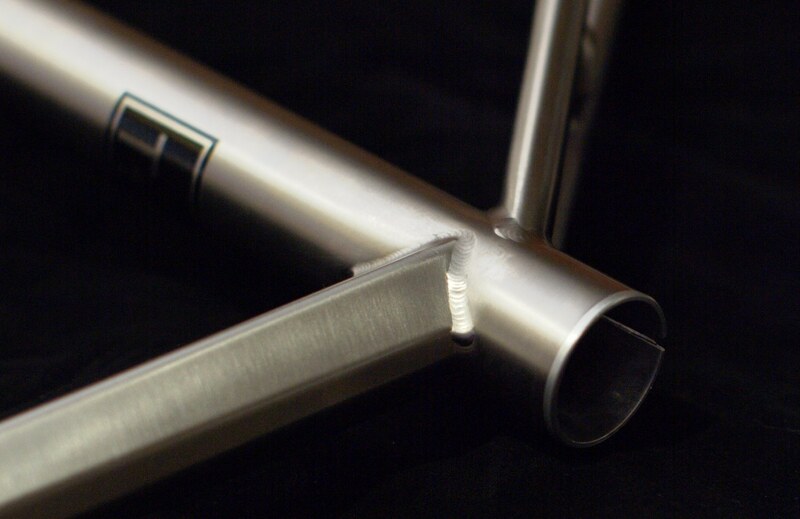 At well under 2.5 pounds this frame can rival the weight of any frame on the market. The Wrap technology and 6 series titanium top tube all work together to create a frame that many people consider "too stiff". Too stiff to some can mean perfect frame for sprinters and heavier riders. 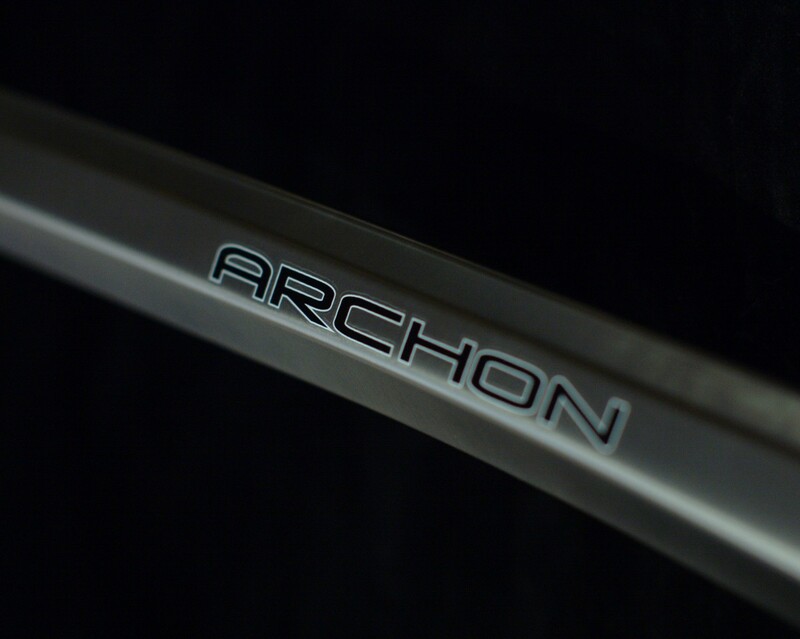 One of the most striking features of the Archon is its formed 6AL/4V top tube. 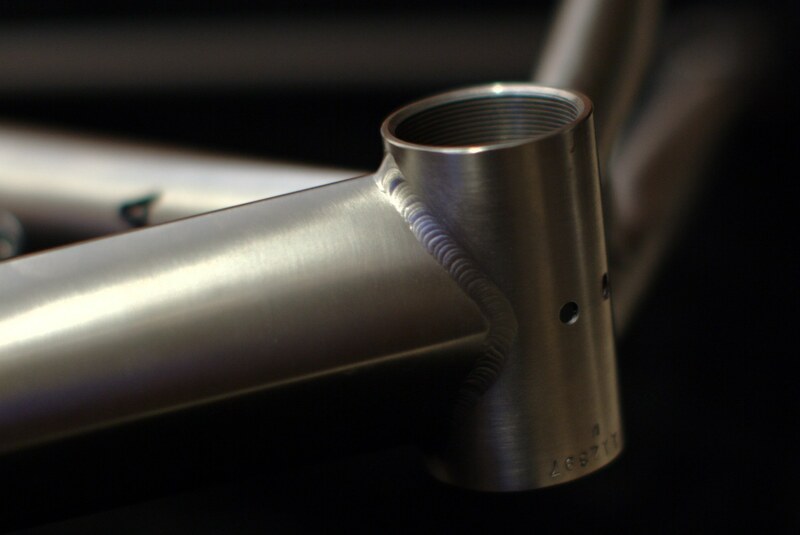 The aggresive lines flow seamlessly into the Wrap welds that connect the top tube, down tube, and steer tube into one massive junction. 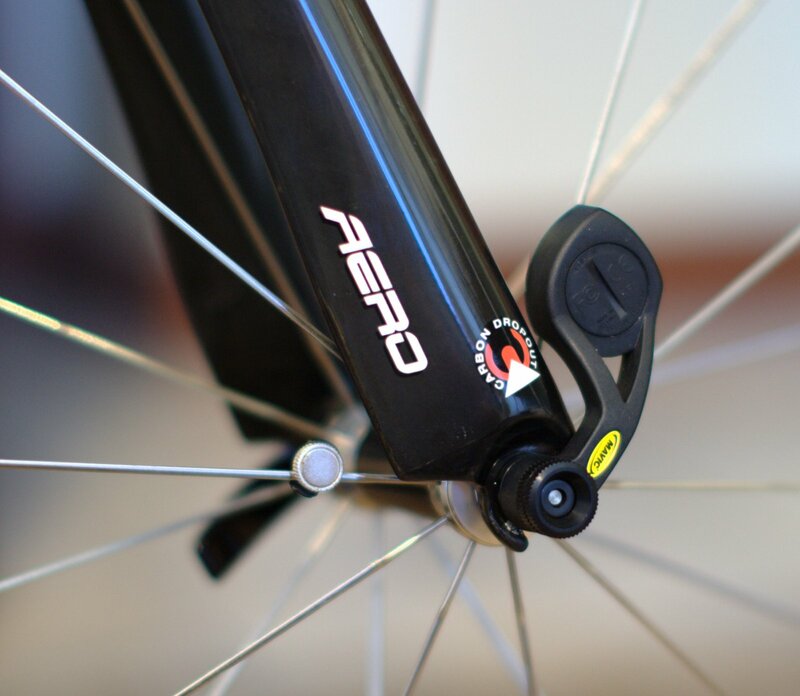 A nice feature also found on Colnago and Orbea, are the steer tube located cable brazes. While it seems small this is a nice touch that keeps your cable housings from rubbing the paint off your frame and headset. 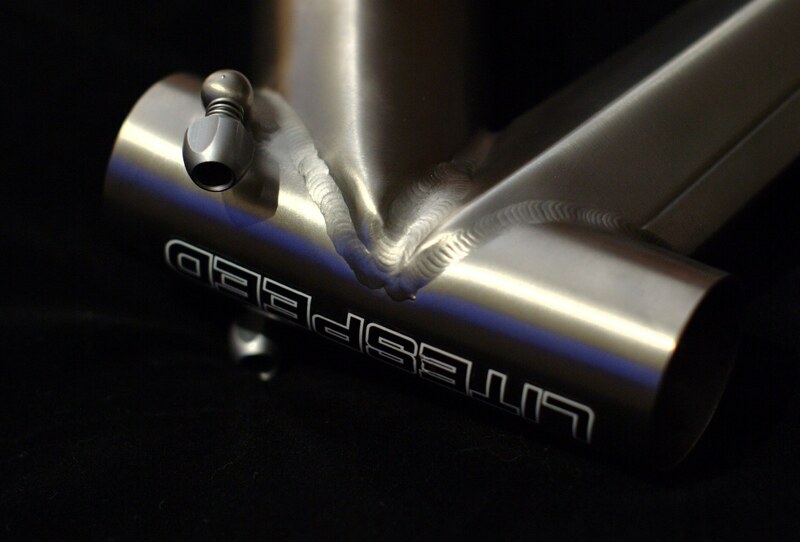 The stainless steel seat tube liner not only helps combat galvanic response, but also makes the creaking associated with older titanium frames a thing of the past. Ok so you have the ultra-light 15 pound bike. The 200 dollar matching team jersey. A pair of shorts that cost more than most people's bikes. Why is it you still have a computer that has to be zip-tied to the frame? Mavic should drop the proverbial mic after creating the Wintech system. How is it that anyone is still using the old zip-tie system after seeing this? Granted last yeah there were some moisture issues but those are supposed to be sorted out. 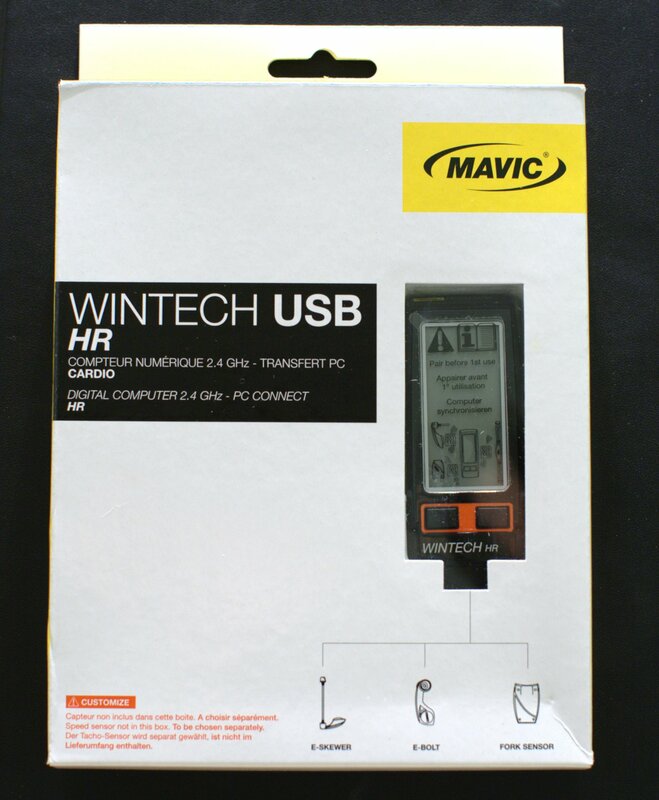 In addition the 2010 series has USB logging which the 2009 Wintechs did not. To start, you pick either the base Wintech or the Alti, HR, or Ultimate. The Alti has a built in altimeter, the HR is the heart rate version, and the Ultimate has both the heart rate function as well as altimeter. All the computers can support any of the available Wintech cadence sensors. After you pick your computer you decide on the mounting system which has to be ordered separate. 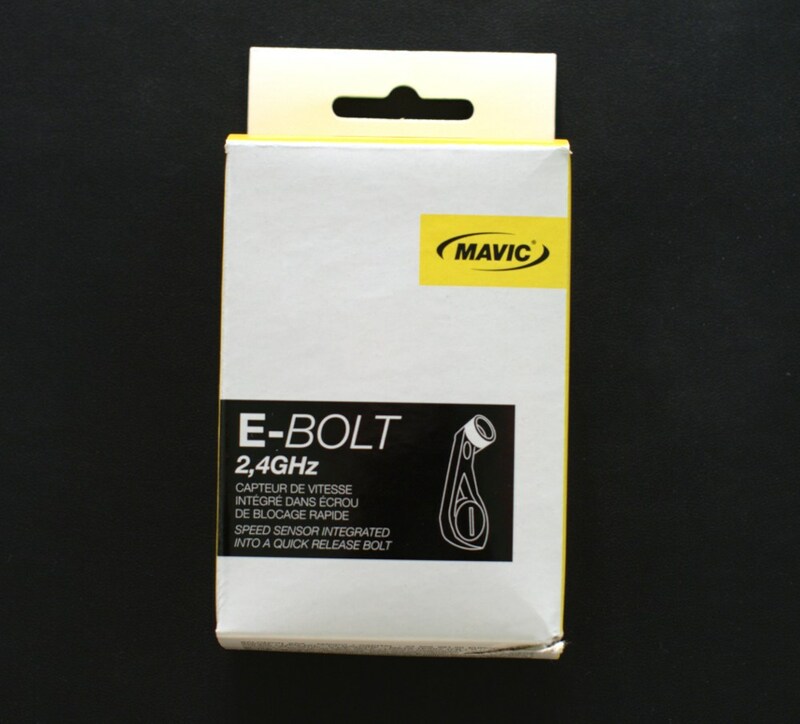 Mavic has the e-skewer system which replaced your skewer. The e-bolt system, which is inappropriately named as it actually replaces a nut not a bolt. Last there is a traditional mounting option, parish the thought. Mounted the computer sits ~1" in front of the bars centered on the stem. The bracket is very robust, I can lift my bike by it, but I still wish it was symmetric. Once mounted the computer showed no signs of wanting to slip or creap. Included with the kit are shims to allow mounting to all three bar diameters. 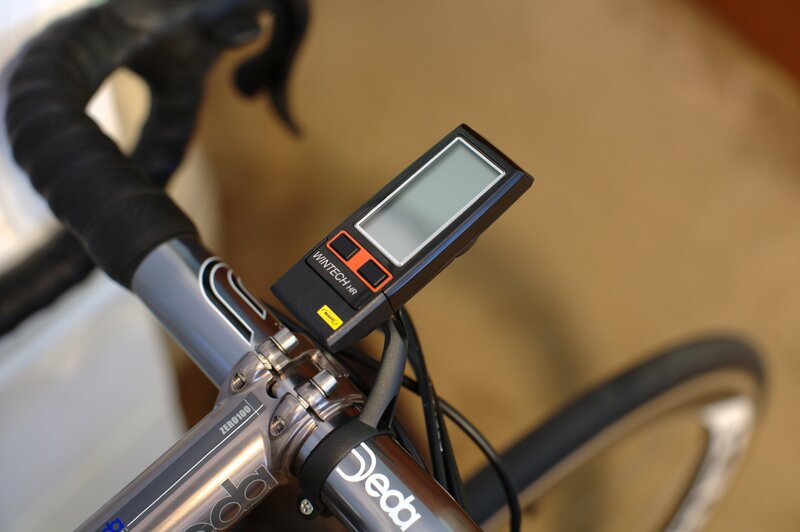 The sensor mounts very easy and has no issue I could find with either mountain bike shocks or any road forms including aero forks. The wheel magnet did however have a little trouble securing on my DT Swiss aero spokes. In the end I actually ended up ditching the Mavic wheel magnet and using a Cateye magnet. So far I have no complaints about this system. With support for 3 bikes, 4 current display functions, the abality to customize the screen, and set up from a PC whats not to like? Will the 2010 Wintech prove to be more robust that the 2009 version? If so the computers wars are over...... atleast for now.